Here's an outfit from the weekend before Thanksgiving. I wore this outfit on Friday and Saturday, just with a different shirt and shoes! What can I say, this sweater is comfy! Plus I was sleeping over my aunt's house and didn't want to bring two full outfits. That cardigan looks insanely cozy...I wish I was wearing that right now. Blanket cardigan looks pretty good to me - it is freezing out! Love your brown boots, they have a nice amount of ruggedness to them. What a great cardigan and looks fab with those boots. Hi Megan! 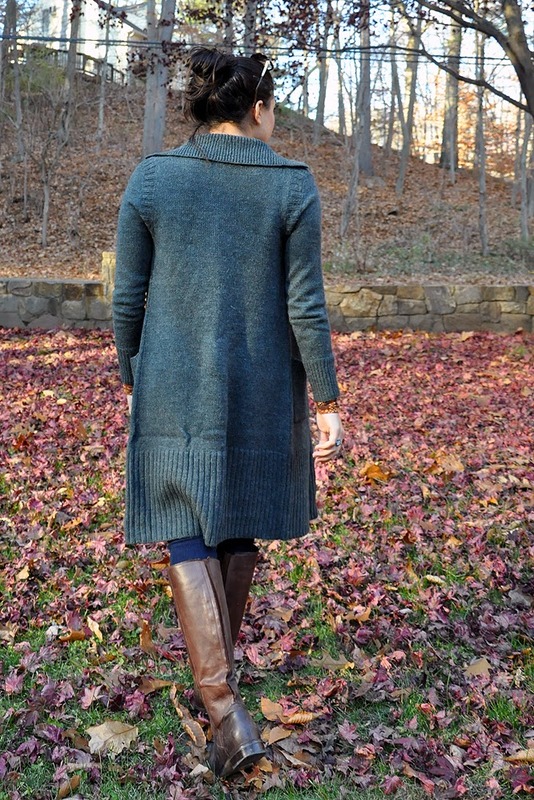 I'm swooning over this long cardi! It's just so elegant and classy. And the shots are amazing! I live in long sweaters. Love this one! I love to wear comfy sweaters thanks so much for sharing! I love long sweater/cardigans! The ones that hit the floor are especially my favorites. I love the combinations of tones and textures, it's so perfect for Fall! I love this sweater especially with the boots and skinny jeans! It's so perfect for fall and winter! Great pair of boots ! I also like how it matches perfectly with your top.